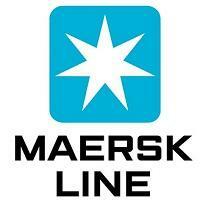 Maersk Group is a publicly traded corporation with some 68,000 shareholders. Our controlling shareholder is the A.P. Moller and Chastine Mc-Kinney Moller Foundation,which was set up by the company’s founder in 1953.Maersk Shares are traded on the Copenhagen Stock Exchange.The company was founded in 1904,when Arnold Peter Moller partnered with his father in their hometown of Svendborg, Denmark to purchase a second-hand steamship.All together, Maersk and its various business units employ about 108,000 people in some 130 countries. Our activities fall into the following main areas: Container activities, Oil and gas activities, Terminal activities.